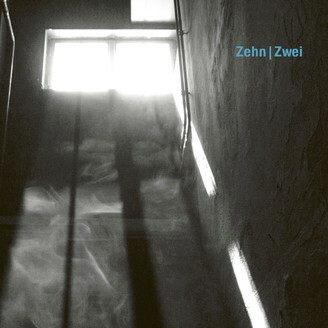 Ostgut Ton reissues Zwei of Zehn with original tracks by Efdemin, Marcel Dettmann and Kobosil. Zehn | Zwei starts off with a throbbing kick, shuffling and stumbling percussion, chirping synths and meandering ambience by Marcel Dettmann. Picture a dark dancefloor that has been going for a couple of hours with dancers in a trance to get a better idea of “Encode II”. With his first ever solo release on Ostgut Ton Efdemin underlines the path he has taken in the past years – from House towards his ever-increasing focus as a Techno producer and DJ. “unten links” is a slender and multi-layered cut and a good representation of his recent departures from Panorama Bar towards a strong emphasis on the darker hours of Berghain’s main floor. This Techno-centred 12“ is rounded off by the Berlin club’s youngest resident Kobosil. Having just released his debut album, the full-bodied and hypnotic “Saldae” with its distinct alarm signal and robotic vocal samples is an ever-welcome return to his club-focused production roots that draw from Industrial and EBM.